While cheap shared hosting and/or insanely cheap hosting services can serve for basic and medium-sized websites, large and busy websites needs a dedicated solution to get enterprise-level support. For WordPress, there are top hosts that offers WordPress tools and dedicated WordPress support. They form what’s called Managed WordPress Hosting solutions. 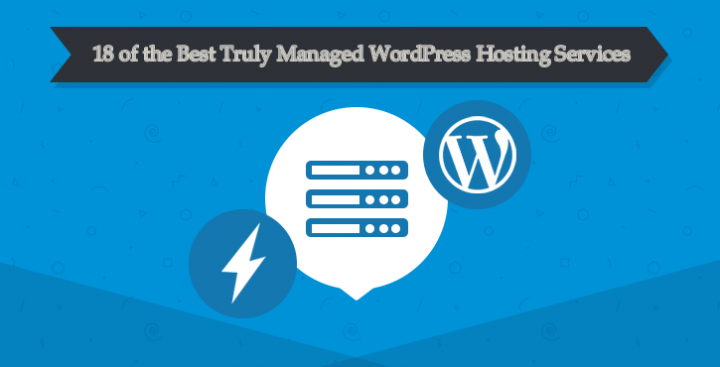 Today, I am going to show you 18 of the best truly managed WordPress hosting solution for blogs, wooCommerce, company and businesses. Although managed WordPress hosting works for 99% of WordPress websites, it is important to know what’s best for your business and within a specific budget. This list is here to help you pick “a managed WordPress hosting solution that works” irrespective of your business size. Having used and tested lots of Managed WordPress hosting solutions since 2012 (including that of Godaddy that leaves so much to be desired), we have come up with 18 of the best truly managed WordPress hosting services. WP Engine managed WordPress hosting service is a good one to start with. They have budget-friendly plans, fast servers, and give you access to a global CDN, automated SSL certificate, SEO tools, page speed test tools, and lots more. WPEngine is unarguably a good pick for beginners and professionals alike. With Wp-Engine, you’ll have access to insanely fast Amazon AWS, Google servers, New Relic, and well-optimized WordPress install. Sitground offers premium WP hosting services with brilliant first year pricing. The server is fast and comes with WordPress staging, GIT, WP-CLI, caching, free migrations, daily backups, and automatic updates. Their server infrastructure is top-notched with SSD storage drives. Furthermore, Siteground hosting supports PHP7, HTTP/2, and free CDN integration. On top of these is – fast response and secured WAF rules to help keep your site on top at all times. When you host with kinsta, you’ve have access to an automated website uptime monitor. This uptime monitor checks the status of your site every 5 minutes. Within 24 hours, Kinsta bot would have checked your site status up to 288 times and you’ll be alerted if your website is offline or experiencing downtime. Kinsta provides its users with intuitive interfaces so that even beginners will be able to explore the features and tools that comes with their hosting packages. Kinsta WordPress management tools, server performance and customer service are top-notched, and beyond what you’ll get with most managed WordPress hosting services. A2 is one of the most impressive managed WordPress hosting provider with a responsive tech support. There’s a highly optimized WordPress install and an intuitive WordPress staging tool with A2 Managed WP hosting. Industry-standard caching tools, Litespeed server, SSD drives, free daily backup, free SSL, and free migration are the other perks to enjoy with A2 managed WordPress hosting. This WordPress hosting service is very much fine-tuned to make WordPress websites load in lightening speed while utilizing the latest server technologies and features. The security offered by InMotion is well valid and effective: Your website is well-secured from malware attack, hacks, and malicious activities of cyber criminals. All InMotion managed WP hosting plans comes with WordPress pre-installed on them, and those with existing websites can switch to managed WP in just a few clicks. InMotion managed WP hosting plans, and pricing is listed below. Simplicity is one of the best things people look out for in any products or services they buy. No one loves a hosting service with an extremely complex/deceptive dashboard. CloudWays is one of those managed VPS hosting providers with a simple interface. CloudWays bot is always online, and helps keep you on track with constant updates and insights about your WordPress website. There’s also live chat, ticket, and email support for all customers. With a single Cloudways instance, you can install unlimited number of applications as well as get access to Free SSL Certificates for all your applications. KnownHost managed WordPress hosting gives you access to advanced website managements tools as well as optimize your website for speed, performance, and safe updates. There’s free expert website migration, automatic daily backups, regular off-server backup, free SSL certificate, and fast SSD storage drives with every managed WordPress hosting plan you buy from KnownHost. Cheap, streamlined and quick! NameCheap EasyWP managed hosting plan is best for low to medium traffic websites. The price is just $29.00 for a full year (First year) and you’re entitled to a steady, satiable, and guaranteed top-level customer support. The only down-side of NameCheap Easy WP is the inability to use domain names that aren’t registered through NameCheap. The disallowed plugin list is nothing different from what you’d get with WP Engine, Kinsta, and similar managed WordPress hosting solutions. Even though we are never a big fan of Bluehost, and other EIG hosting services, we have used their Managed WordPress hosting service and still uses same for some of our clients. Apart from holistic technical support, everything else works great on Bluehost Managed WordPress hosting servers. On top of the 2GB RAM that’s on offer, you’d get access to: SiteLock, free CDN, regular updates, WP management tools, and regular backups. Is your website slow in loading, and you’re losing a lot of customers as a result? FastComet is equipped with LiteSpeed server and SSD storage drives. Fastcomet offers unlimited email accounts with your brand/domain name, protected by Apache SpamAssassin for effective spam filtration. Unlike some hosting providers that require you to pay for backups, FastComet does so for free and on the daily. On Veerotech hosting, everything is already taken care of. You do not need to start installing WordPress manually because it’s pre-installed on any plan you buy. Veerotech hosts your website on professional, high-performance servers specially designed for speed and scalability. With Veerotech, there’s LiteSpeed, CloudLinux, Free website Migration, CloudFlare CDN, Free SSL, Daily Backups, and dedicated customer support. There is no limit to the traffic and bandwdth level offered by this hosting server and it is built on the latest server technologies. To wit: PHP7, SSL and Nginx for improved website load speed. Also, you are allowed to fully access your database files and the server without any form of restrictions. Plus, each package offered by Liquidweb supports website staging: You get to preview your site before effecting any changes and/or customization. For a limited time, you can get 50% OFF discount on any Liquidweb managed WordPress hosting plan you choose to go with. The coupon code to use is FASTMWP50 and you can sign up from this special link. With Flywheel managed hosting servers, everyone can create stunning WP websites that loads quickly. FlyWheel provides its customers with professional and highly effective WordPress management tools for seamless website optimization. Every analytics and stats are presented in a simple, intuitive control dashboard. Free website migration from your previous host server to Flywheels server is assured and you’re going to experience no downtime throughout the migration. Furthermore, free daily backups and free SSL certificate are few of the perks that comes with every FlyWheel managed WP plan. Enjoy blazing fast server speed and unlimited access to lots of industry-standard WordPress management tools with wpx managed WordPress hosting service. Aside these core features, websites hosted on WPX loads fast compared to most others and their customer support is top-notched. Pressidium is an enterprise managed WordPress hosting services provider with a responsive tech support. They help developers and organizations to host their personal or business websites on a secured and highly reliable servers. “N-tier” is the architecture used by Pressidium and it is a trusted technology with thousands of satisfied users. There’s free SSL certificate, free website migration, daily backups, and WordPress staging environment for all plans. Pagely is no mean name in the world of managed WordPress hosting providers. With them, your entire database is completely backed up on a daily basis and saved to Amazon s3 where you can restore a copy at anytime with ease. Customers who purchase higher tier plans gain access to free developer tool like SSH, GIT, Staging, and WP-CLI. All technical aspects of hosting your website are handled by experts working in Pagely. You’ll get a free jetpack premium package on any hosting plan your buy from Pressable. There’s also free migrations, SSL certificates, daily backups, and content delivery network services (CDN). Pressable is an enterprise-only managed WordPress hosting company with fast servers and premium caching system. The last company on our list today is Closte. Clotse is a cloud based hosting services provider that allows its users to host on pay-as-you-use basis. One good thing about this platform is whether your traffic increases or decreases, you’re still going to pay the same amount. It is highly scalable and works for websites of all sizes. They’re a WordPRess only hosting service and uses enterprise one: a Google Cloud CDN with optimized LiteSpeed technologies for superb website performance. With Clotse, you’ll have access to Staging, security and all your favouriate WordPress management features. Next ItemDiggro X3 Smart Bracelet Review: the best Under $30 Health Gadget?